Set in remote eastern Indonesia, this small exclusive island hideaway is one of the most extraordinary resorts in an extraordinary archipelago. It is the ultimate in privacy and exclusivity and has views of one of the most stunning locations on earth. Nihiwatu is 438 acres of tropical forest, grasslands and rice terraces around a two and half kilometre beach which offers total seclusion. Adjacent to the cliff top bar and overlooking the sea is the rustic dining room where the Chef and his team produce an array of dishes that allow the fusion of Western and Asian cuisines, with choices that change daily and use only the freshest of ingredients. This dining experience is enhanced by a wine list that draws from the very best of both the new world and the old. The ultimate Robinson Crusoe experience is here at Nihiwatu, where the bounds of civilisation no longer exist, picnic on a remote beach or waterfall and experience pristine nature in its raw form. 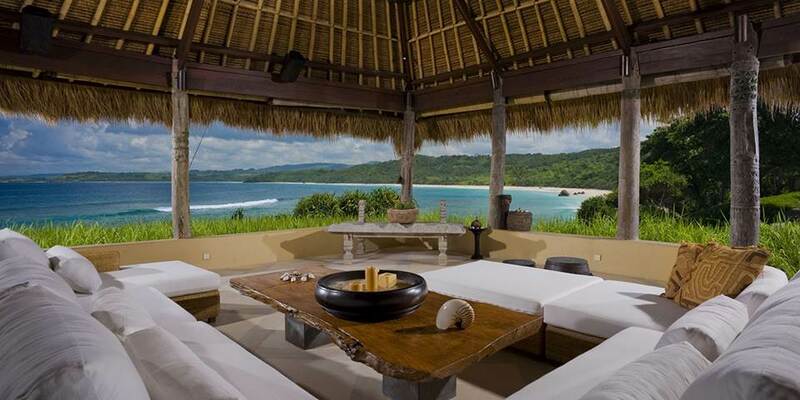 Nihiwatu is for those travellers who seek excitement with absolute privacy in a stunning location. Outside your door is world class fishing and sensational surfing and diving, perfect for the more active. 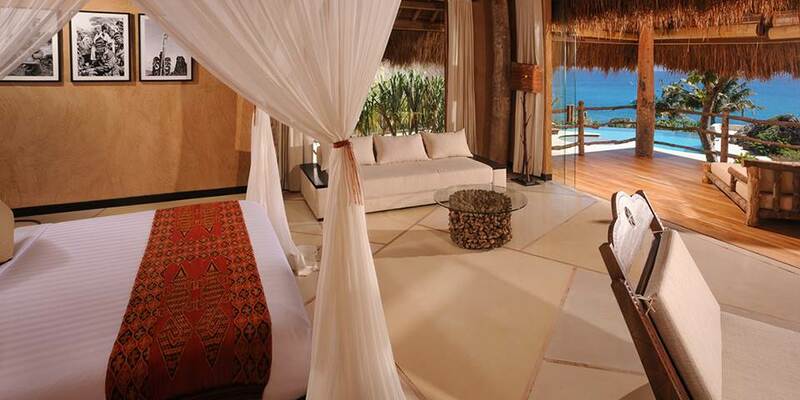 Or do nothing, just lie on the beach, relax by the pool or take a leisurely walk along the beach. For yoga enthusiasts there is a resident instructor available at any time of the day for private or group sessions. 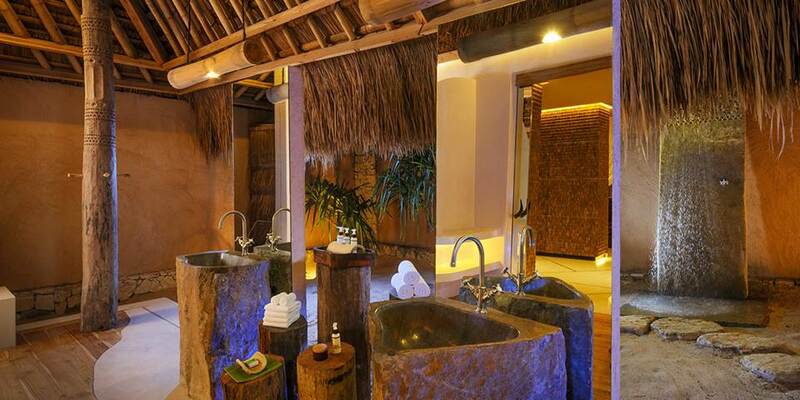 For those whose wish is to be pampered, the outdoor Jungle Spa is positioned under the trees just above the beach. Massages and treatments taken to the sound of the surf, sooth both body and soul. For sheer indulgence the Hilltop Spa offers the Ultimate Spa Experience, soaking in a large scented tub, chilled champagne in hand with views to die for. All this and more, an experience you will never forget. The culture around Nihiwatu is an experience not to be missed with Stone Age sites and traditional villages that have remained unchanged. 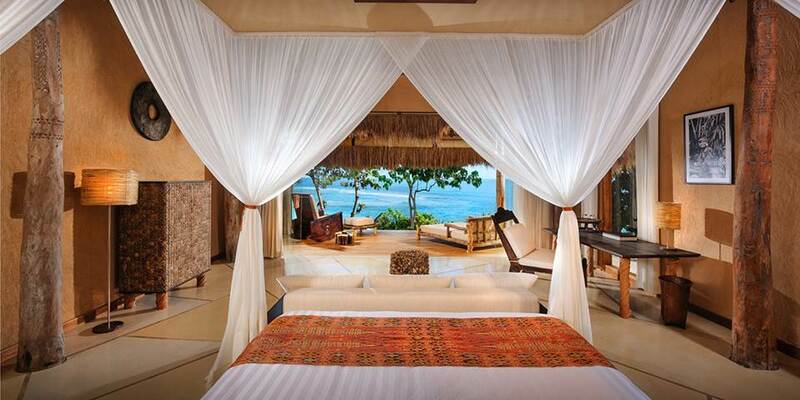 Nihiwatu is the place to be if seeking a unique travel experience. The luxury suites and villas which are tucked amongst the trees offer guests complete solitude and comfort in an idyllic setting. 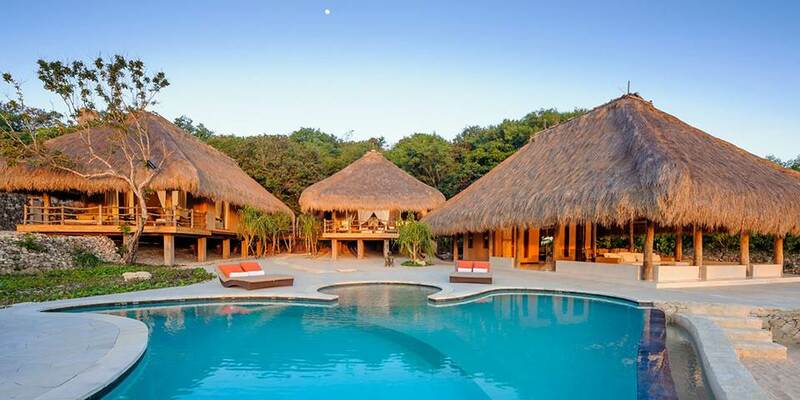 Hand built by Indonesian craftsmen using local materials, the thatched roof bungalows and villas have vistas over the sea, beach and the headlands beyond. 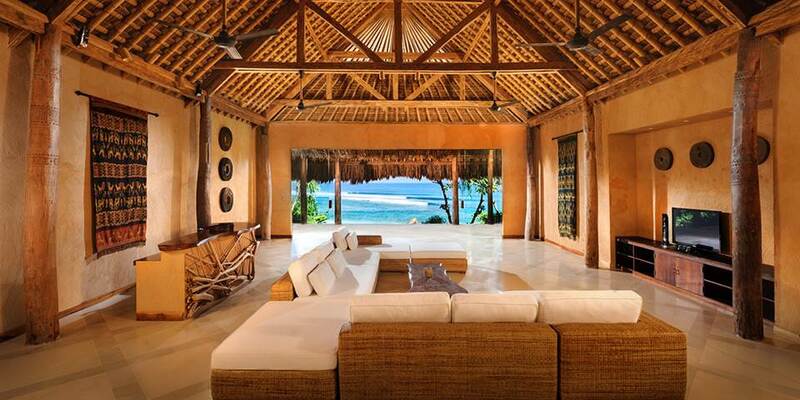 Each contemporary Indonesian style sanctuary has large glass walls and doors to maximise the views.